[0:28] <Smeef> with whichever address the dongle gets (10.0.0.133). However, if I remove the dongle and restart the Pi, I can still see the SSID of the on-board AP, and I can connect to it, but the PC doesn't seem to get an IP, and I can't SSH in using the 192.168.0.1 gateway address. [0:32] <Smeef> I've been experimenting with various edits to dhcpcd.conf, /etc/network/interfaces, hostapd.conf, dnsmasq.conf, wpa_supplicant.conf, wpa_supplicant-<interface name>.conf, and /etc/default/hostapd, so much so that I've lost count of how many various combination of online guides I've tried. [0:33] <Smeef> Has anyone ever tried something like this? [8:24] <dreamon> hello. trying to install screen on raspbian. but http://mirrordirector.raspbian.org/raspbian/dists/stretch/InRelease is coming up with data. is it down? [8:25] <Tekknobard> dreamon by "is" do you mean "isn't"? [8:26] <dreamon> sorry englisch is not my main language .. i mean that i cannot update. 0% ..
[8:28] <dreamon> Tekknobard, Ok. Thanks it will wait solong ..
[14:37] <red9> because the mirror requires a lot more complexity than icmp. [14:39] <palmtree> red9: oke, then? [14:39] <palmtree> ShorTie: what do you mean? [14:40] <red9> check where in the fetch process the problem occurs. [14:41] <red9> from the same network uplink? [14:43] <red9> does "ping -c 2 2a00:1098:0:80:1000:75:0:3" work? [14:45] <palmtree> E: The list of sources could not be read. [14:47] <palmtree> wait.. seems is working..
[14:48] <red9> I can ping mirrordirector.raspbian.org with IPv4. The https port seems dead. And http is slow like hell..
[14:51] <red9> http://archive.raspberrypi.org/debian - seems to work. https too. [14:56] <Armand> One might suggest that "mirrordirector" doesn't run a webserver ? [14:56] <Armand> Well, at least.. "80/tcp filtered http"
[14:56] <Armand> I suspect that HTTP requests can only come from an approved source. [14:57] <red9> mirrordirector.raspbian.org works alright. On the par with a 8 bit/s connection..
[14:58] <Armand> There is no port 443 service that I can see, so HTTPS is out. [14:58] <Armand> As for HTTP being slow.. it could be under high load? [14:58] <red9> Seems they missed the activity of those three letter organisations completely. [14:59] <red9> Armand, probably. And they could be dimensioning the server capacity after load too..
[15:00] <palmtree> can I use other mirrors? my goal is to install php ..
[15:07] <palmtree> now works! lol, what's wrong with the raspian mirrors!? [15:57] <noregret> is it possible to turn off the 5v pin from software? [16:00] <Stromeko> You mean the one on the extension header? That is a striaght wire, no switches. [16:20] <noregret> I got these https://goo.gl/ZhEhPV that im planning to connect to the pi, is there anything else to wire with each like a resistor? [17:02] <red9> LED needs current, not voltage. [17:03] <red9> more specifically, constant current. [17:03] <noregret> red9: ok.. any idea how much current does that consume? [17:05] <red9> digikey have a online resistor decoder. 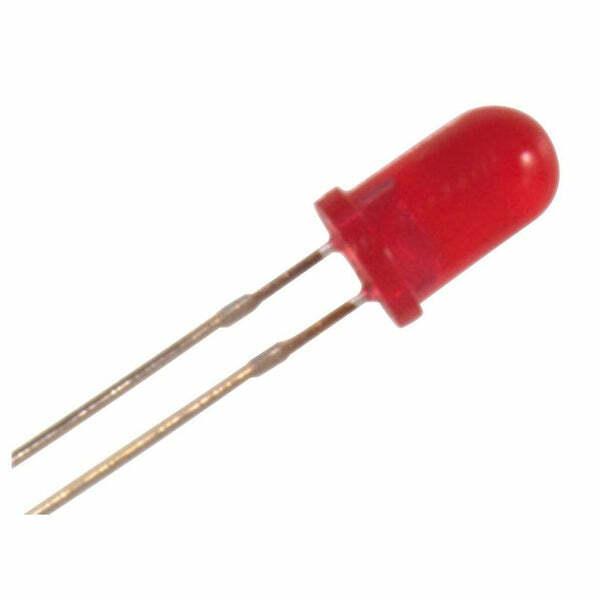 [17:05] <red9> and the mid one seems to be diode of some kind. [17:06] <dasy2k1> BurtyB: thanks for that, is there some better way of starting processes at boot of the pi then that is as easy to use? [17:08] <red9> Use a multimeter..
[17:13] <red9> resistors have imprecise value. And multimeters have imprecision too. Just keep that in mind. [17:14] <red9> Actually, no earth bound accelerator can compress enough mass fast enough to create any black hole that can sustain itself. [17:16] * noregret nods as if he understands that..
[17:22] <red9> It think LED will just not work in the wrong direction. [17:36] <Journeyman> is that normal? [19:15] <csanyipal> I have a Raspberry Pi Model B+ with use of the Official Raspberry Pi Touch Screen and Raspbian operating system. [19:17] <csanyipal> When in raspi-config I set to boot into Console with Autologin but when do Reboot, I and up in Desktop again. Why? [19:17] <csanyipal> If not with raspi-config, then where in etc/ can I edit a file to set this up? [19:20] <gordonDrogon> I'm not aware you can autologin on the console - try turning autologin off and just console login to start with? [19:23] <red9> Do the +5V pins on the 26-pin connector have a stable and clean voltage ? [19:26] <csanyipal> gordonDrogon: I follow you advice and set in raspi-config to boot into Console without Autologin, then reboot. Again, I end up in Desktop. Why? [19:29] <gordonDrogon> csanyipal, no idea, sorry. I have one of those displays, but the Pi it's on is only running jessie and I have disabled (removed) X completely. [19:29] <gordonDrogon> it's a text console only. [19:31] <red9> Encrypt, So powering a 555 directly from that should be ok? Because voltage deviations would mess up the analog parts. [19:31] <csanyipal> OK, thanks anyway. [21:06] <gordonDrogon> did you remember to unzip it? [21:22] <noregret> continuity can't be tested for LEDs, right? [21:26] <noregret> like a phone camera? [22:00] <Tekknobard> touch or no? [22:00] <mr_yogurt> tekknobard: i'm not sure yet. both for now? [22:48] <kaiser> but when i plug it into my rpi, it says "no wireless interface found"
[22:48] <Dr_Willis> anyone else noticed some of the package servers being real slow the last 2 days? [22:49] <Tekknobard> kaiser is it supported under whichever distro you're running on your rpi? [22:50] <kaiser> "Linux raspberrypi 4.4.11+ #888 Mon May 23 20:02:58 BST 2016 armv6l GNU/Linux"
[22:51] <kaiser> it should be..
[22:52] <Dr_Willis> kaiser: - I have a pi that is a bit flakey, it reboots whenever i plug/unplug anything. :( so its using a hub now. Not sure if that was due to low powersupply, or somthing shorting out on the usb ports. [22:53] <Stealthblackbird> Hello, I was wondering if it was possible to use an rpi to convert an analog audio signal to a usb signal for usb headphones? [22:53] <Dr_Willis> learned the hard way. [22:54] <kaiser> Bus 001 Device 009: ID 0bda:818b Realtek Semiconductor Corp.
[22:55] <Tekknobard> kaiser so the big question -- is it now loading the right driver? [22:55] <Dr_Willis> lsusb shows it then? [22:55] <Tekknobard> kaiser sleuthing time! [22:56] <kaiser> i just googled ".ud sleuthing"
[22:57] <kaiser> okay so how exactly do i read lsmod? [22:58] <kaiser> but what does it mean by "used by" in lsmod? [23:04] <Dr_Willis> https://sites.google.com/site/easylinuxtipsproject/reserve-7 mentions some of the work arounds, but i cant seem to find how old that guide is. [23:08] <Dr_Willis> kaiser: but i DO have what looks like a good lead for you. [23:10] <Dr_Willis> kaiser: the issue from how i read it is the '8192eu' driver is needed, but not included in the defaults. [23:14] <Dr_Willis> I have to watch my IRC addiction, i never get anything done if i am not careful. [23:15] <Dr_Willis> Been having issues with the rasbian file servers the last 3 days, thats what i came in to ask about. Not sure if its a specific server issue, or just general internet flakeyness the last few days. [23:15] <Dr_Willis> just got this when trying to update/upgrade a new pi setup. [23:17] <Dr_Willis> reran the update/upgrade, its downloading again, at 14.2 kB/s Eww. [23:19] <Dr_Willis> Not seen issues like this in a long time. [23:19] <Stealthblackbird> So does anyone know if its possible to use a raspberry pi to convert an analog audio signal from a headphone jack to usb audio so i can plug in my usb headphones into my phone? [23:21] <Dr_Willis> You want to go phone -> pi-made-adaptor -> usb headphones ? [23:22] <Dr_Willis> it sounds doable, but may not sound very good. Do the usb headphones work to play music/audio on the pi? [23:23] <Dr_Willis> so you basically need to record the analog in input temparaly, then play it out to the headphones. [23:24] <Stealthblackbird> but I can't find one. [23:28] <Dr_Willis> well from the few sites i just looked at - some state teh pi has no audio input on the headphone port. [23:29] <Dr_Willis> I dont know that for a fact. but i saw it mentioned on 2 differnt sites. [23:30] <Dr_Willis> Seen mention of this sound card from several sites. [23:34] <Dr_Willis> but that card is out of stock anyway. [23:36] <Dr_Willis> Just saw this gizmo, then realized.. i HAVE 4 of these. :) it can let you record mono. [23:41] <Dr_Willis> but i bet it would sound terriable. [23:46] <Stealthblackbird> Now, I was wondering if anyone has experience with installing Android on rpi3? [23:47] <Dr_Willis> From what i hear, android does not run very well on the pi. what are you needing to run on android? [23:49] <Dr_Willis> i recall trying it years ago. basically you find the android .img put it on sd. boot it. But i hear it can be hard to find the images tehse days. many of the projects have died off. [23:51] <Dr_Willis> i saw mention of android tv also on the pi. [23:55] <Dr_Willis> But i have so many other android devices, i dont need an android pi. ;) Wife took my shield-tv..
[23:56] <Stealthblackbird> wait, is that the handheld or similar to a steam link? [23:56] <Dr_Willis> Taught her how to use kodi, and its the best kodi box we have. [23:56] <Dr_Willis> Shieldtv is the small console, that runs android-tv, can play games, and run kodi. [23:57] <Stealthblackbird> you have exodus? [23:57] <Dr_Willis> She also took my Shield-Tablet, because it plays candy crush better then anything in the house. [23:57] <Dr_Willis> I dont bother with the pirate type plugins for kodi, just local files i have aquired over the years. [23:57] <Stealthblackbird> but, she took the tablet? [23:57] <Stealthblackbird> but how will you play games on the toilet? [23:58] <Dr_Willis> she has a collection of tablets, for when she runs out of lives on candy crush. she gets the next tablet. [23:58] <Dr_Willis> she does not like it..
[23:59] <Stealthblackbird> she doesn't like you having the nintendo switch or she doesn't like the switch itself?